I have been thinking about making my own Aura Sprays to sell. I am just looking into finding the supplies I need and working out exactly how I will make them. Before making them and going ahead in making them, I want to know from you who would be interested in purchasing my aura sprays once made? My aura sprays will be a mild lavender based spray, infused with certain crystal essences and charged with angelic energies from archangels. Which will be available to purchase in a plastic 50 – 125ml mist bottle. The first type of Aura Spray I will be making will be a protective, shielding and cleansing spray. 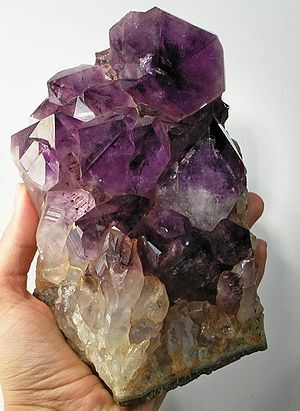 It will have certain crystal essence with protective qualities infused into the Aura Spray which also will be charged with Archangel Michael’s protective, shielding and clearing energy. Depending on the response I get back from you, and whether I can get all the supplies I need to do this will depend on whether this will happen or not. Also if you have any feedback, queries or questions please feel free in contacting me. This blog post is not about how to use ouija boards, or how to conduct seances. As I don’t agree in the practice of this. This blog post is about the dangers of using an ouija board and conducting seances. Anything that is used to contact the ouija board like these listed. The oujia board is used to contact entities in the spirit world, however some people don’t know this but it opens a portal to the other side. This is where the danger lies, you are opening a portal to let spirit through. The closest spirit realm is of those of the lower levels (negative entities). The entity you make contact with may lie to you, pretending to be someone who they are not. In any case once you have started you have opened a portal, and there is no going back from it. This is my opinion. Those of them that say they know what they are doing, and know how to close and control the entity don’t know what they are in for or what they may unleash. I don’t think it matters whether you protect yourself, use spells, objects or symbols for protection. The reason is that your intention is to open this portal and make contact with an entity. This pushes aside all the protection you have, making you vulnerable. Those of you that really have no idea of the spirit world and how things work are in more danger and more vulnerable, as you have no idea what to expect. The ouija board or seances aren’t games, to be played at a sleepover or at Halloween. They are dangerous, and it’s something you have no control over. 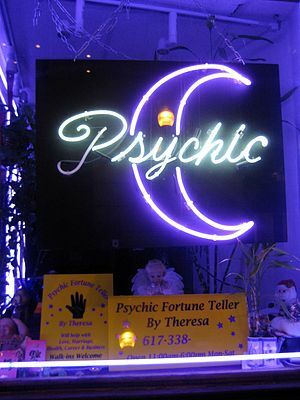 There are many psychic abilities and everyone is unique. Clairvoyance: Clear seeing, is about seeing visions and spirits, it also includes seeing auras and angels. Clairaudience: Clear hearing, is about hearing voices, it also includes hearing music and sound. Clairsentience: Clear feeling, is not just feeling a presence, it also includes feeling energy and feelings. Claircognizance: Inner knowing, is not just about intuition, it also includes emotions and instincts. Empathic: Taking on someone else’s feelings and emotions. Being an empath can be the hardest ability to manage. Automatic Writing: Sometimes done in a trance, or a psychic state. You can also be aware, but the message is not from the writers mind. Channeling: Is sepreate intelligence and uses the body/mind to communicate the message. Medium: Someone who connects with spirit and communicates with them, this can include guiding entities such as angels. Remote Viewing: Seeking impressions of a distant or unseen target. Telepathy: Distant feeling, using extra sensory perception for communication between minds over a distance or barrier. Stay tuned for: Importance of Meditation.